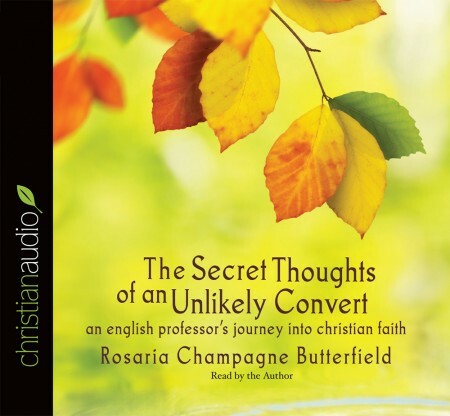 I found this audiobook to be a fascinating, genuine, honest glimpse into the life of Rosaria Butterfield. I expected that much--I expected to merely listen to her story, as a curious onlooker peeping in to observe a life, and nothing more. I would go away not much different, I thought, having had my curiosity satisfied. What I did not expect was how profitable this story would be, how much I would learn, how many observations of wisdom would stand out like jewels, how rich and full of nuance and meaning and relevance this story would be. As I listened to it, I praised God for His glorious work in this one woman's life, and I marveled at the continued unfolding of transformation that He worked as she walked with Him step by step. This is most definitely worth reading for far more than mere curiosity. It is instructive, it is insightful, it is real. It takes an honest look at Christian conversion and growth. It is a story full of life, and that life is contagious.